3: Create your parameters file. Now select ‘Add Static ‘ and add your static log file(s) from the freezer calibration, then ‘Add Dynamic ‘ for the dynamic calibration log files. 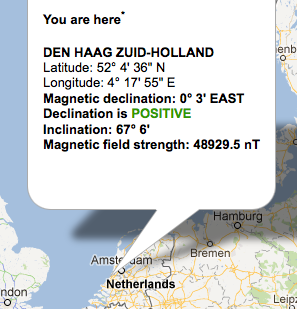 The next step will require an estimate of your magnetic inclination for your geographic location. Inclination is the amount of degrees a compass needle will point either upwards or downwards into the earth if the compass is rotated to a vertical orientation. Please read the Magnetic Inclination and Declination page for more details about retrieving and setting up magnetic inclination and declination. In this example the inclination reported in the tool is 67 degrees and 6 minutes. Switch to the ‘All generated parameter’ tab. This window contains the contents of your param file, which should currently be empty. 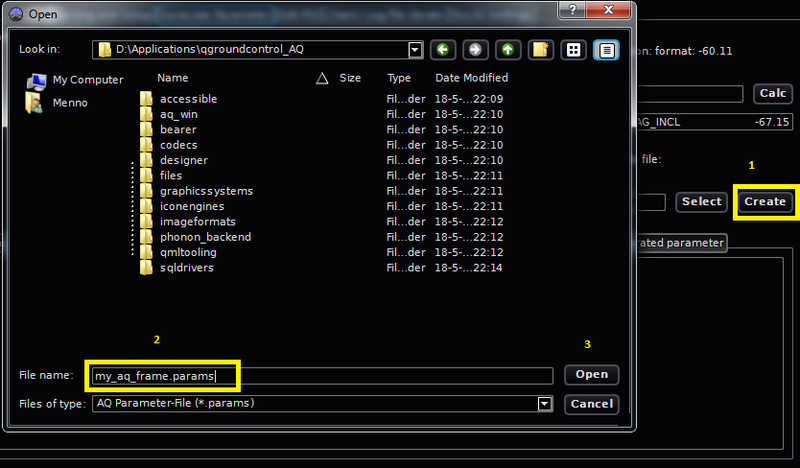 Save your new parameter file by clicking the ‘save to para file’ button to the left of the window. You are now ready for the actual calculations. Go to the next page to proceed. This page was created on 18-Jun-12 by jussi. Last modified on 23-Aug-14 by jussi.